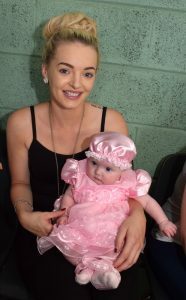 The Bonny Baby competition takes place annually without much fuss. But the competition is just as intense as every other event at the show. And this year was no exception. All the babies do their thing, including giving a big smile for the judges, without the knowledge they were being judged. The competition is kindly sponsored by Mulligan’s Pharmacy in Piltown and Haven Pharmacy in Carrick-on-Suir.